Hello crafters! I Hope you are all well! Today's project is not a complete one. What I mean by this is that the marble effect I haven't shown as this is coming in a video next month. So I have just decorated the card for you and will bring a part 2 soon. My card base is a 4x6 inch that's 10x15cm once folded. 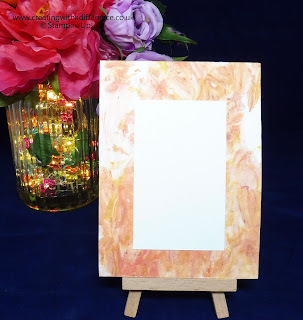 The base is stuck together to create a postcard style card. The base is embossed using the hexagon 3D embossing folder. 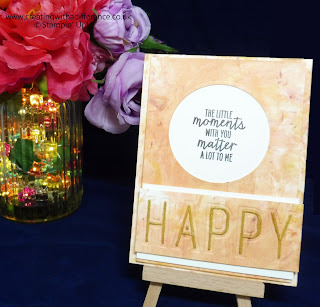 I embossed the happy sentiment and added some glitter gold gen pen to the raised parts to add dimension and create more texture. I die cut the circle using the circle layering Framelits. My sentiment I have stamped onto whisper white using basic black. That is from the watercolour wings stamp set. My base was originally whisper white before I used the shaving foam marble technique which you will be shown very soon. 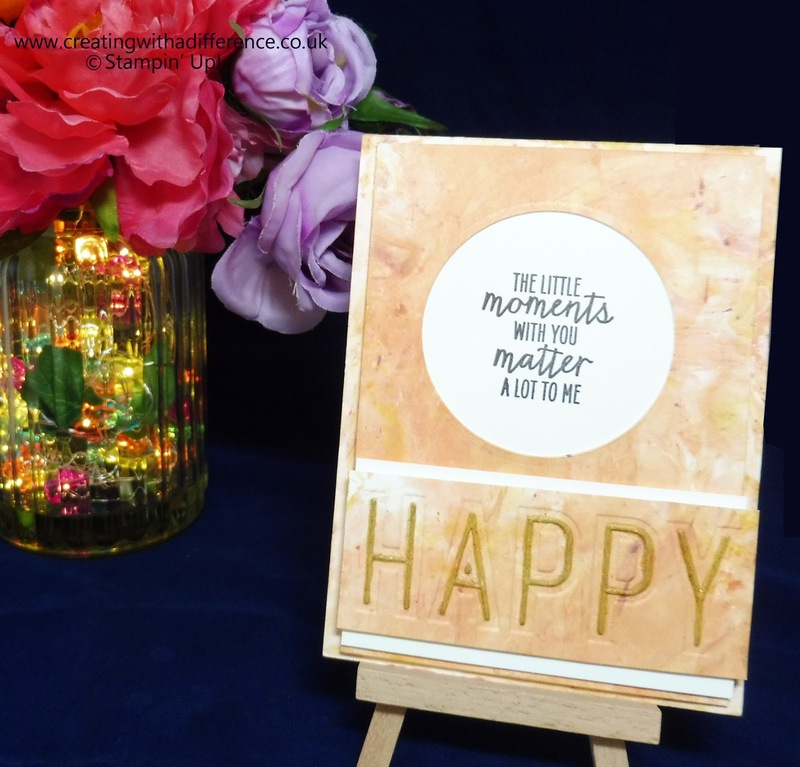 I added a white mat under the happy sentiment and added some white onto the back for somewhere to write. Again the bits used in this project have come from my scraps/left overs box which is always full of half done projects, scraps and samples.